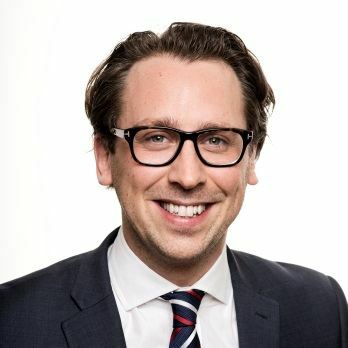 Kungsleden appoints Henrik Gerdin as Head of Transactions. The appointment is part of the re-organisation which started last fall. Kungsleden AB (publ) continues its re-organisation efforts and employs Henrik Gerdin as the new Head of Transactions. In his new role Henrik will, in accordance with the chosen strategic direction, continue to optimise and expand the property portfolio. Henrik Gerdin leaves a role as Director at Niam where he has spent the past eight years working with property transactions. Prior to this, Henrik spend two years working with structured finance and investment banking at Deutsche Pfandbriefbank in London. Henrik has a business degree from the University of Manchester and a Master from the Royal Institute of Technology in Stockholm. He will assume his new role in February 2016 and report to Ylva Sarby Westman, Deputy CEO and CIO at Kungsleden. “I look forward to working with Henrik and I am convinced that his transactions experience will further strengthen our organisation and our efforts to optimise and expand the property portfolio”, says Ylva Sarby Westman. “I am delighted to be part of Kungsleden’s transactions team and together with them continue the past years’ successful work with the property portfolio. Kungsleden has become a new company and I look forward to contributing towards a continued positive development”, says Henrik Gerdin. The information was provided for public release on 11 January 2016 at 7:00 a.m.